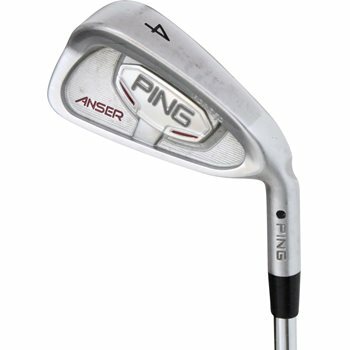 The Ping Anser Forged is the first forged iron from Ping in over 40 years. It features a forged 8620 carbon steel body with a dense tungsten sole and machined grooves, resulting in a true forged iron feel with incredible forgiveness. Its progressive offset design provides long iron forgiveness, without sacrificing short iron control. It also features a hollow-sole cavity design that promotes softer feel and lowers the center of gravity for high-launching shots.